Trump administration unveils new H1B visa rule lottery rule; delays implementation of online registration. The Department of Homeland Security issued the final H-1B cap registration rule on January 30. The new rule will reverse the H-1B lottery process, giving priority to applicants with US education. The implementation of an online registration system, another major change the DHS proposed last month to make the visa program “more effective and efficient,” however, has been postponed. Each year, 65,000 H-1B visas are made available. An additional 20,000 is also allocated to those who hold an advanced degree from US educational institutions. According to the current process, the lottery for these 20,000 visas, also known as “master’s degree cap,” is conducted first. Cases which fall short of getting selected in the lottery are then placed in the “regular cap” lottery. 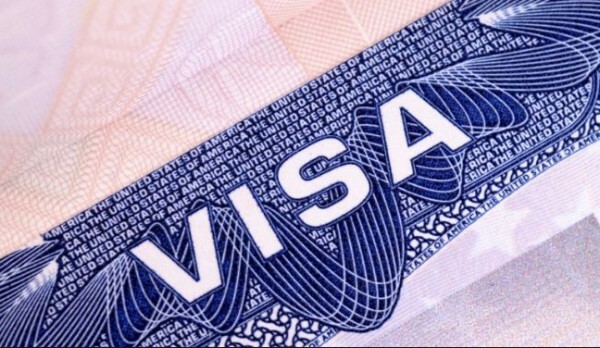 According to the new rule, for the upcoming fiscal year, which begins on April 1, 2020, the United States Immigration and Citizenship Services (USCIS) will be first running the lottery for the regular H-1B visa cap. After that, another lottery will be conducted to select petitions for the “master’s degree cap,” or 20,000 visas from the holders of advanced degrees from US universities. The new rule will facilitate more H1 B visas awarded to foreign citizens who hold a master’s or a higher degree from a US school. “The change will result in an estimated increase of up to 16 percent (or 5,340 workers) in the number of selected petitions for H -1B beneficiaries with a masters’ degree or higher from a US institution of higher education,” the DHS o said in a statement issued on Wednesday. The new rule, which will be effective April 1, aligns with the Trump administration policy of hiring more Americans, it said. The rule, as expected, has created stir in the Indian IT sector, which till now received the highest percentage of H-1B visas. There is another element to the new rule, which requires any company that applies for an H-1B visa for a worker must register with the USCIS. Earlier the companies would apply for the visa directly. Now only the companies whose registration is selected may seek visa for workers. However, this change has been suspended for 2020 due to public feedback, according to the DHS. This change was meant to be implemented to make the system more cost-efficient. According to Homeland Security, once that element is implemented, the collective savings for companies with unapproved registrations will amount to $47.3 million to $75.5 million. However, with the registration suspension in place for the year 2020, Indian companies may have a temporary relief on that front. The H-1B visa has remained a major source of anxiety amongst Indians, the biggest beneficiaries of the visa program. President Trump, through his “Buy American, Hire American,” executive order, has tried to stall what he says is a rampant and widespread abuse of the H -1B visa program.